Can't forget about those Galaxy Note 5 and Galaxy S8 with transparent back covers? If you happen to have an iPhone X (or other full-screen phones) you have a much easier and risk-free alternative... using the right wallpaper. Not everyone is willing to open up their valuable smartphones to scrape or replace its back cover (something you can't even do on the iPhone X) and that's perfectly understandable. So, how about the next best thing: using a simple wallpaper showing the inside of the device? 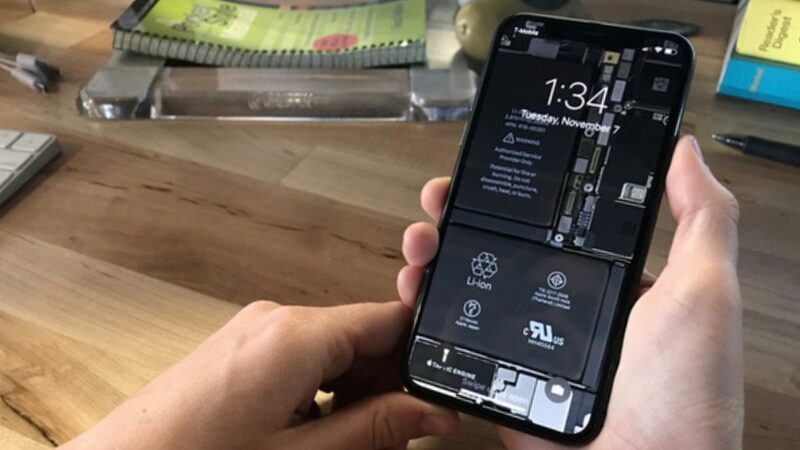 The popular teardown site iFixit has provided iPhone X wallpapers showing its insides (in normal vision as well as x-ray) and it works pretty well when you're looking at the real deal (as you can see on the photo on top). You can also find wallpapers for other iPhones, though you have to keep in mind this sort of trick works best on "full-screen" devices - which include not only the iPhone X but smartphones such as the Galaxy S8/Note 8, Mi Mix, LG G6/V30, Huawei Mate 10 Pro, and the like.